Blog Posts › Pancake Recipes to Enjoy All Year Round! Pancake Day may have been and gone, but a great pancake recipe can be enjoyed all year round! This year, Hob Pride teamed up with some of our favourite foodie bloggers to create some delicious recipes for Shrove Tuesday – and beyond! Here are some of our favourite recipes, that we just had to share. 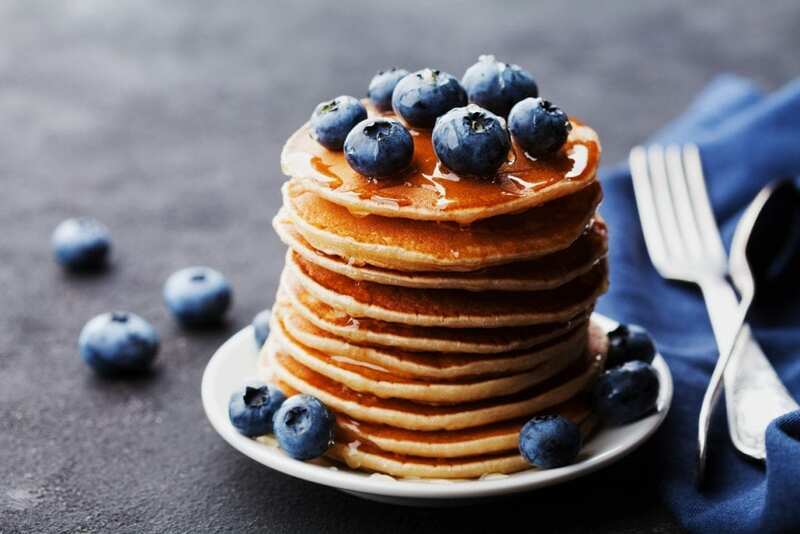 These beautifully sweet pancakes from Crunch Corner blog, are the perfect solution for anyone looking to soothe their sweet tooth. They’re fun to create and even more fun to eat! Create a fluffy stack and top with freeze dried raspberries to add a pop of colour. Delicious! Sometimes, you just can’t beat a classic, can you? These traditional pancakes, with a berry burst from The Gingerbread House blog, are the perfect way to do traditional with a twist! You could add blueberries, strawberries, blackberries, raspberries…The choices are endless. Proving that gluten free, dairy free and refined sugar free pancakes are anything but boring, Cherished by Me has created these scrumptious Coconut Pancakes for the whole family to enjoy. Stack them high and drizzle with a rich, chocolate sauce. Yum! Create yours by checking out the recipe here.